The WGRC is always looking for motivated and driven students to volunteer with us. Whether it’s assisting at our events and programs or lending a hand around the office, we always appreciate helpful students! Volunteers have the opportunity to earn service hours in our fun and engaging environment while also learning about the mission of the WGRC. Formal volunteer programs include our mentoring programs and the Student Leadership Council. Students who want to volunteer without a long term commitment are invited to join our WGRC Action Team, which will meet on the last Tuesday of each month during the academic year. Monthly WGRC Action Team meetings will provide members a chance to come together and learn about upcoming volunteer opportunities. 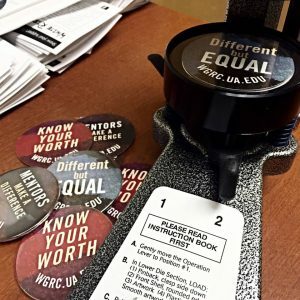 New volunteers should fill out an application in advance and plan to arrive at 3 p.m. for an orientation, while returners should plan to arrive at 3:30 p.m. All WGRC Action Team Meetings will be held at the WGRC unless otherwise noted on the calendar.